When BMW first introduced the iNEXT concept, it wasn’t necessarily met with a warm welcome from enthusiasts of the brand. That’s putting it lightly. Being an all-electric crossover concept with a funky grille and weird interior, it wasn’t the car fans were hoping it would be. However, it’s actually going to be a very important car for the Bavarians, as it will be a fully-electric vehicle with advanced autonomous capabilities in a very popular segment for customers. While we’ve only seen it as a concept thus far, it’s getting closer to becoming a reality, as some official photos of a BMW iNEXT test mule have just been released, showing it doing some winter testing in Sweden. 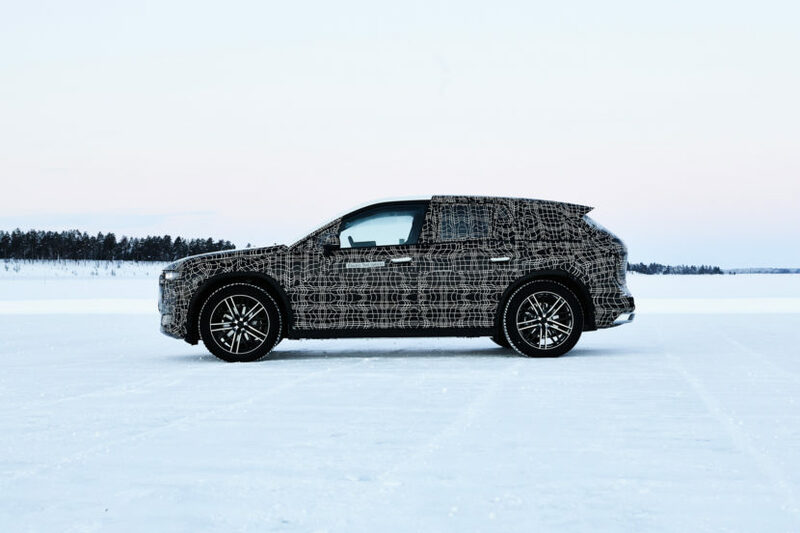 In the freezing tundra of the Polar Circle, at BMW’s winter testing center in Arjeplog, Sweden, BMW took the camo-clad iNEXT to do some cold-weather testing. This sort of testing is very important for electric cars, far more so than in traditional ICE (Internal Combustion Engine) cars. Car companies already mostly know how normal engines behave in freezing temps by now. BMW needs to see how the iNEXT’s batteries, electric motors and all of its systems handle in the extreme cold. For instance, BMW needs to see how fast its battery pack can charge, store energy, use energy and how much range it loses in sub-zero temperatures. Also, how well do its electric motors and traction control systems work on slippery ice-covered surfaces, while also seeing how well its all-wheel drive system works. Even its heating and air conditioning systems need to be tested. Then, BMW needs to get reproducible results, so it can continue developing the iNEXT with concrete data. But the BMW iNEXT doesn’t just get tested for technical electric data. 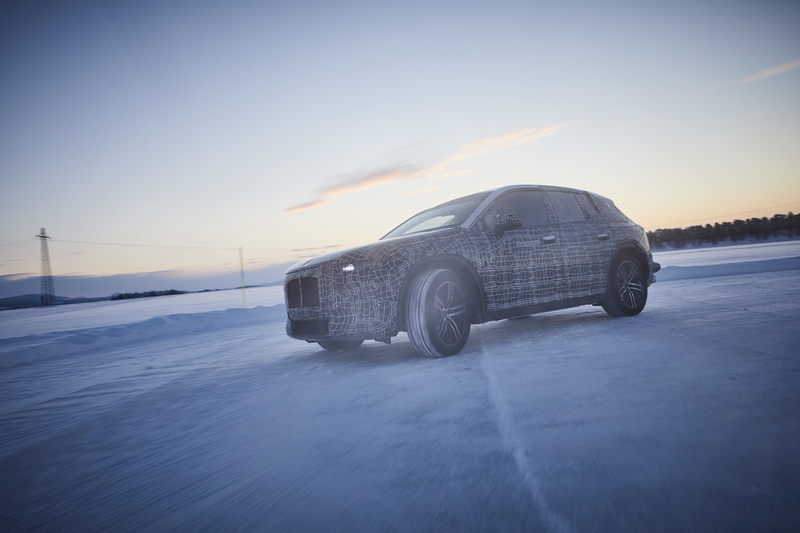 BMW is also testing the way its steering, suspension and handling holds up on ice and in snow. 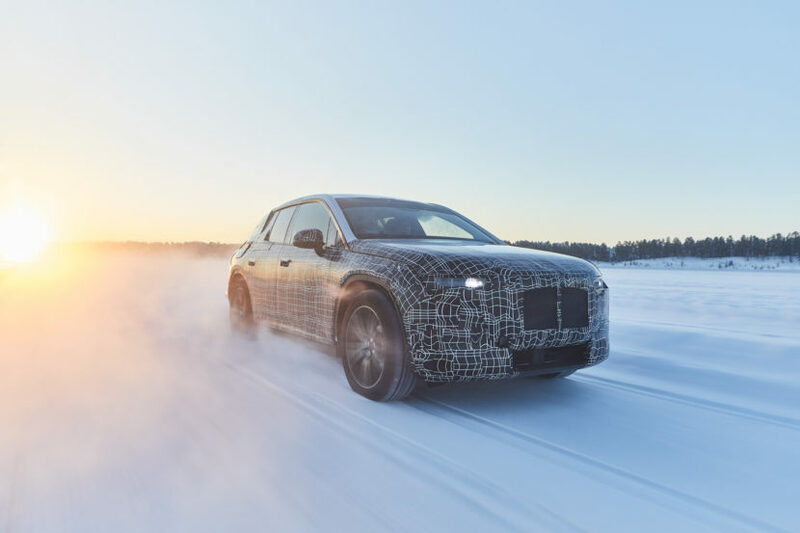 It’s not just ice and snow that it’s tested on either, as the BMW iNEXT also encountered gravel roads, dry tarmac and extremely slippery polished ice. So it gets tested and is supposed to drive and feel like a proper BMW, even if it’s just a small electric crossover. This is also the first we’re seeing of an actual BMW iNEXT. Rather than just a concept car for auto show displays, this is a fully-functional vehicle, even if it isn’t one hundred-percent production ready. It’s still a real car, so it’s interesting to see. The BMW iNEXT concept seemed like such a far-out idea, something that we wouldn’t see as an actual functional vehicle for ages. Here it is, though, and it’s being put through its paces in some of the world’s harshest conditions. It also looks better than we’d expected, after having seen the slightly ungainly concept. Admittedly, it’s heavily covered in camouflaged and could very well be wearing non-production body panels in certain places to throw us off. Still, it’s overall shape is better than we thought it would be. The benefits of its bespoke electric chassis help, as it features very short overhangs front and rear, while also sitting very low and having an sporty roofline, while also having tall windows for better visibility. There are also some interesting visual touches to note. One, if you zoom in close on the photo of it in profile, you can see a very subtle Hofmeister Kink, continuing BMW’s famous design cue. That also indicates that the production car lacks the floating C-pillar design of the concept, which was similar to the BMW i3. It also has a different face than the iNEXT concept car, as its Kidney Grilles don’t go all the way to the bottom of the front end and it also features a different front lip. 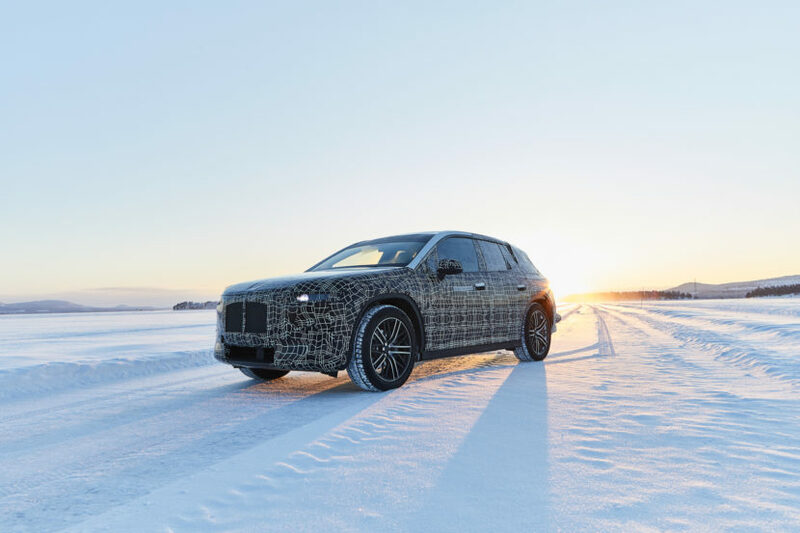 Considering BMW didn’t cover the front grilles in camo, we’re wondering if they’re functional for battery cooling purposes, like on the Audi e-tron. That car features the best thermal battery management of every EV on the road, so it would be wise to copy that. The BMW iNEXT also gets its side mirrors mounted on its doors, rather than the A-pillar, something BMW typically doesn’t do. That will help with aerodynamics and keep the cabin quieter. Overall, these new photos have given us some hope that the BMW iNEXT will be a much better looking car than the concept previously indicated. BMW’s press release also suggests that it will handle and drive with the same positive feedback that BMW fans are used to. So while the iNEXT concept didn’t to much to excite enthusiasts, the actual BMW iNEXT seems to inspire some optimism.